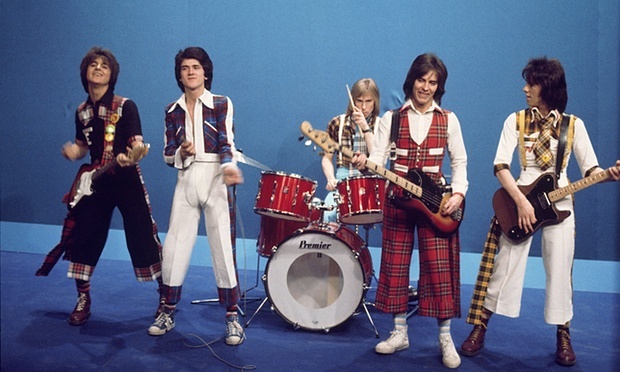 The Bay City Rollers are a Scottish pop band whose popularity was highest in the mid 1970s. The British Pop Scene noted that they were “Tartan teen sensations from Edinburgh“, and were “the first of many acts heralded as the ‘biggest group since The Beatles and one of the most screamed-at teeny-bopper acts of the 1970s”. teen idols. The group’s line-up featured numerous changes over the years, but the classic line-up during its heyday included Singer Les McKeown guitarists Eric Faulkener and Stuart Drummond, singer bassist Alan Longmuir, and drummer Derek Longmuir. On 22 September 2015 The Bay City Rollers, including McKeown, Stuart “Woody” Wood and Alan Longmuir announced that they were reforming and would play a show at the Glasgow Barrowlands on December 20. In late 1973 McKeown recorded lead vocals on Remember Sha La La La , and a lead-in to a series of UK hits A young 16-year-old Stuart Wood completed the ‘Classic Five’ line up in February 1974 a week after the band had debuted the “Remember” single on Top Of The Pops (in which John Devine had mimed the piano part), and by the dawn of 1975 the band were well on their way to achieving global success likened to Beatles fame. Remember” (UK No. 6), the Rollers’ popularity exploded, and they released a string of hits on the UK chart. Following in succession were “Shang-a-Lang” (UK No. 2), “Summerlove Sensation” (UK No. 3), and “All of Me Loves All of You” (UK No. 4). A cover of the four seasons hit By By Baby stayed at No. 1 in the UK for six weeks in the spring of 1975, selling nearly a million copies to become the biggest seller of the year, and the subsequent single Give A Little Love topped the charts that summer, their second No. 1 hit. Two full-length LPs were produced during this period: Once Apon a Star and Wouldn’t you like It (1975). Faulkner and Wood undertook the majority of the song writing duties. A second North American hit came with “Money Honey“, written by Faulkner which hit No. 9 in the US. In Canada, it fared better, following its predecessor to the top and giving them their second No. 1 in the RPM national singles chart on 13 March 1976. 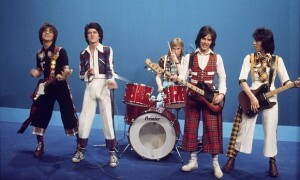 On 22 September 2015 The Bay City Rollers, including McKeown, Stuart “Woody” Wood and Alan Longmuir announced that were reforming and would play a show at the Glasgow Barrowlands on December 20 They further announced the release of a new album that has been recorded by McKeown with future additions to be added by other band members. The album is produced by hit maker John McLaughlin.